Its been a week since the FCC got its net neutrality rules out but the debate over it has just started. While republicans want to kill FCC’s net neutrality rules, democrats most of them are in favor of it. The full rules are to be published on Friday but there was confusion over what the new rules meant when it mentioned the Android operating system which is open source. However, until the pending effective date of release, you will be able to file a formal or informal net neutrality complaint with the FCC based on the new rules. We will show you how the FCC’s complaint system currently works so if you ‘d like and have the time, you may file a net neutrality complaint. 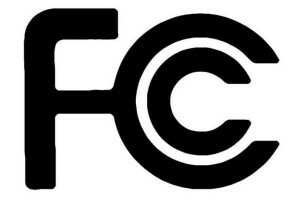 Lets begin, there are two kinds of complaints you can make with the FCC – informal and formal. Informal complaints are very easy to submit. End users and Edge providers can file them via the agency’s consumer and government affrais informal complaint form. FCC will then go ahead and look into that matter. The only problem with that is that the form doesn’t have a specific section to express concerns over content blocking and discrimination by ISPs. FCC says its working on getting some changes done to the present form. Once the form is completed, you can submit this with all supporting documents via email to fccinfo@fcc.gov, or by fax to (866) 418-0232 and by postal mail to: Federal Communications Commission, Consumer & Governmental Affairs Bureau, Consumer Complaints, 445 12th Street, SW, Washington, D.C. 20554. Now that we have covered informal complaints, lets look at how to file formal complaints with the FCC. Under the new netneutrality rules anyone can file a formal complaint citing violation of the rules. However you cannot do this unless you are a company, public interest group, or trade association. The formal complaint system has a filing fee of $200 and seem like court hearings. They come with specific procedures, appearances and docket filing rules. Lawyers also get involved. Stage one of a formal net neutrality complaint involves the complainant informing the “defendant” ISP in writing that they are taking the step and give a description of charges filed and wait for the company to answer. Defendants must deliver their answer within 20 days of receiving the complaint and replies are to be filed within 10 days of receiving the broadband provider’s response. The broadband providers is obligated to answer each claim with particularity and support facts with proper documentation or affidavit. Wondering how the commission will decide these cases? FCC promises that it will draw from its engineering, legal and economic staff and even bring in various relevant standard-setting groups to resolve an issue or conflict. The order says, “Further, in order to facilitate prompt decision-making, when possible we will resolve open Internet formal complaints at the bureau level, rather than the Commission level”. Finally, the FCC reserves the right to lodge a complaint at its will. The order says, “Should the Commission find that a broadband Internet provider is engaging in activity that violates the open Internet rules, we will take appropriate enforcement action, including the issuance of forfeitures”. Also there is a six month wait time to refile a FCC net neutrality claim after FCC’s verdict on it. Global ISP’s Want to Monitor Copyright Traffic! Germany Government to Block Facebook ‘like’ button Feature!